A Kenyan Police station was robbed on Tuesday night after thieves broke in as all officers on duty abandoned their post to go watch the UEFA Champions League matches Barcelona vs Manchester United and Juventus vs Ajax Amsterdam. According to Nairobi News, the incident happened at the Kamworon Police Post in Aldai, Nandi County. The officers were said to have left the guns in the armoury and travelled to Chepturo trading centre near Kaimosi Teachers College to watch the football matches. On their return, they discovered the post’s armoury was broken into and three rifles were stolen alongside 60 rounds of ammunition. “All the officers left the post and went to watch Uefa football match at the nearby trading centre and on returning to the post, they noticed the room of the in-charge, which is also used as an armoury in which the steel box is kept, was broken. On entering in the house they found the steel box also broken and three rifles stolen,” reads a police report.But the thieves left behind two magazines, one with 17 and another with 20 rounds of ammunition. Officers from the Directorate of Criminal Investigation have been deployed to the post to interrogate the officers.Nandi County Commissioner Samuel Kimiti said the officers were being interrogated and the search of the guns had been immediately launched. In the matches, Barcelona thrashed Man United 3-0 at home to progress into the semi-finals on 4-0 aggregate while Ajax stunned hosts Juventus 2-1 to secure a slot in the semis, winning the tie 3-2 on aggregate. At least we should still be happy our Nigerian Police Is Not That Daft. The post VERY FUNNY! 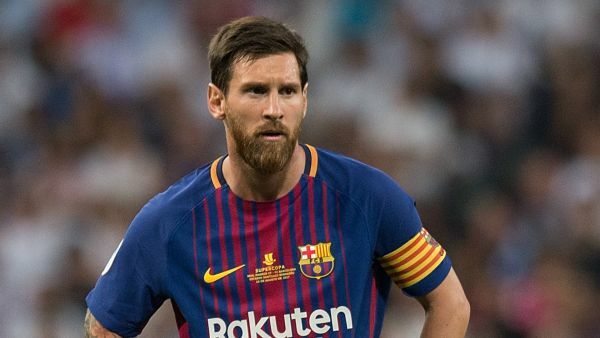 Police Station Robbed As Officers On Duty Abandoned Their Post To Go Watch Barcelona Vs Manchester United appeared first on Naijaloaded | Nigeria's Most Visited Music & Entertainment Website.